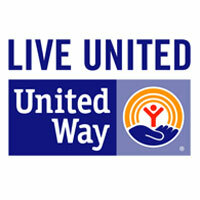 Clear Impact Scorecard was developed specifically with the input from our major United Way customers. 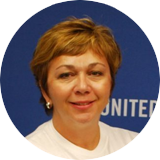 Our long standing relationships with individual United Ways as well as the United Way Worldwide has shaped a system and approach that focuses on creating real impact instead of superficial impact reports. The user friendly interactive scorecards allow you to easily collect and analyze performance data for all your grantee’s. The software goes deeper than just data and digs into the story behind the curve to tell the real story and align grantee’s projects and activities to the results you want to achieve. Clear Impact Scorecard provides an easy, fast, and efficient way to collect the data needed from grantees for the Global Results Framework. It also promotes the usage of that data for strategic planning and performance improvement. Whether you are looking to provide better tools for your grantees or best practices for aligning your United Way staff, Clear Impact can help build capacity with training, facilitation and resources co-developed by United Ways. Easily demonstrate the impact of your hard work by sharing data automatically on your public website. This can be an effective tool for building public confidence, increasing funding, and getting buy-in from stakeholder. In this video case study, Dr. Henrietta Munoz, Vice-President of Grant Research and Evaluation, shares how RBA and Clear Impact Scorecard are helping United Way of San Antonio and Bexar County ensure appropriate age development in 3-year-olds, improve kindergarten readiness, and increase high school graduation rates. Clear Impact Scorecard can help fulfill the performance management requirements of the Public Health Accreditation Board (PHAB) and simplify your path to achieving National Accreditation. Clear Impact Scorecard can help you collect and organize community health data to identify key health problems and assets within your community. Create measurable health outcomes for your community by developing and managing efficient, effective Community Health Improvement Plans with Clear Impact Scorecard. In 2009, UWCI decided to purchase Clear Impact Scorecard software to track progress and achievement of the community’s Goals for 2020. They now have all of their grantees across education, income and health reporting data on a quarterly basis. Click here to read the whole case study, including their success in helping to improve the high school graduation rate by 17%.